One of the applications of the new proposal is to place the individual exhibits in context, in a way which shows the correlation with each other and with the missing frame. 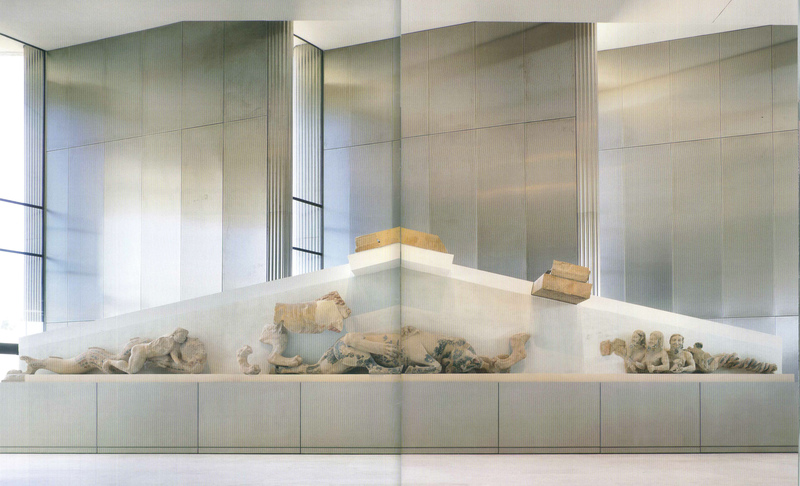 At the New Acropolis Museum, the pediment of the Ecatompedon (not from the Parthenon) is placed against an artificial frame. The new proposal aims at setting the marbles in a frame and filling up the composition through software technology. Two replicate statuettes were used, of Aphrodite and of Hercules. 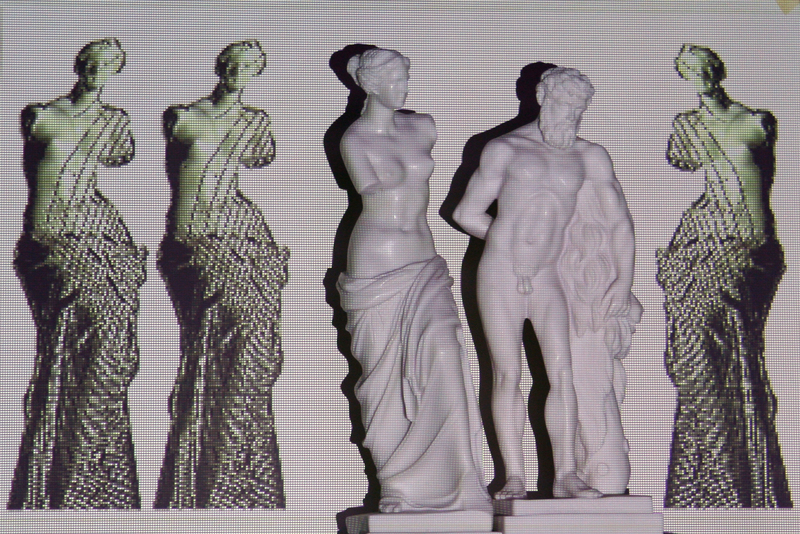 A scanned version of the statue of Aphrodite is projected around the two statues in order to fill up the composition.